Our nation is currently loosing *EIGHTEEN* veterans each day to suicide... if you do the math, that's 6,570 heroes each year. We've actually lost more soldiers, sailors, airmen, and marines to suicide since September 11, 2001, then we have in Iraq and Afghanistan combined. There is something terribly wrong with that, yet way too few people are talking about it. Recently a couple near and dear to the FamilyOfaVet.com family faced a near suicide. This combat veteran and his dear (incredibly strong) wife have decided to share their story in order to help others who may be facing similar dark days. I can't thank them enough for having the courage to write the article and for caring enough about their fellow veterans and families to make use of their struggles in a way that is sure to help many. Every veteran, person who loves a veteran, and anyone who works with veterans should read their story. It's a story that could have been much better if a few leaders and healthcare providers would have paid better attention. And, it's a story that could have ended so much worse if one more person had ignored this hero's calls for help. Click here to read their story about PTSD and suicide. 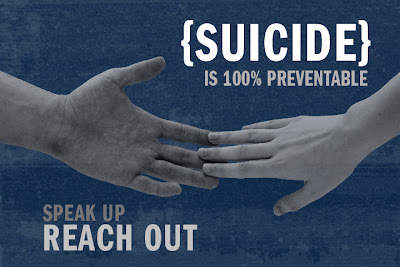 I dissagree, suicide is not 100% preventable and that statement is bound to compound the feelings of guilt in the surviving relatives , "if only theyd talked to me" , well i can tell you no amount of talking would have prevented me from trying to top myself i wasnt in a place where i could be talked to , i didnt want to be here and in this pain anymore and i still dont , i dont now that im semi rational , want to put my wife and kids through the pain of losing me but i cant wait for the time when my life ends , no more pain of suffering. Thank you so much not only for your comment but also for the point you made. Please let us know if there's anyway we can be of help to you or your family. Founder of FamilyOfaVet.com - an organization dedicated to helping heroes and their loved ones survive and thrive after combat with real world info about PTSD, TBI, and more! Welcome to the FOV (Family Of a Vet) blog. This blog is about topics important to Veterans and loved ones who are learning to cope with life after combat. We're here to help you learn more about living with PTSD (Post Traumatic Stress Disorder), TBI (Traumatic Brain Injury) and real-world ways to survive and thrive after combat service. This blog & our main site (FamilyOfaVet.com) were created for Vet families, by Vet families. We're all in this together... let's make the most of it! Stealing From Peter, To Pay Paul! FamilyOfaVet.com welcomes and encourages the off-line distribution of content from its website through appropriate channels but no use is granted without our specific permission. Please contact us by e-mail at Permissions -at- FamilyOfaVet.com stating the specific content to be used and place and means of off-line distribution. Webmasters, bloggers, etc., wishing to use a limited amount of content from our site for non-commercial, on-line purposes may do so as long as a backlink to our site is provided. Copyright 2003 - 2011. FamilyOfaVet.com / Family Of a Vet, Inc. All rights reserved.